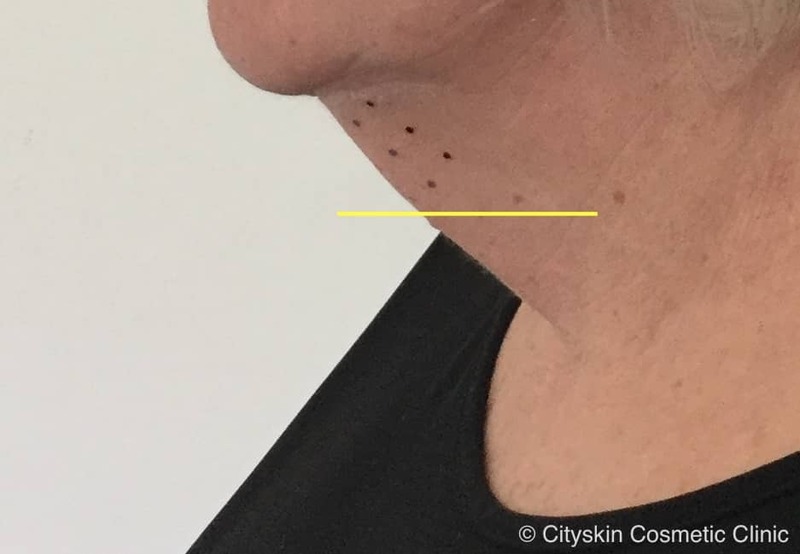 The best patients to treat have a small ‘pocket‘ of fullness under the chin, as shown in the photo below. 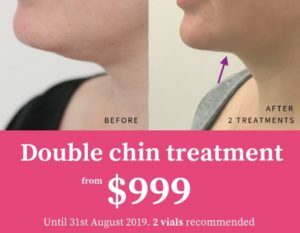 Patients with this type of fullness tend to notice the best results as there is no fullness in the jowl area or further around the neck. Patients with fullness which extends below the ‘Adam’s apple’ in men, or below the level of the thyroid in women are more difficult to treat. 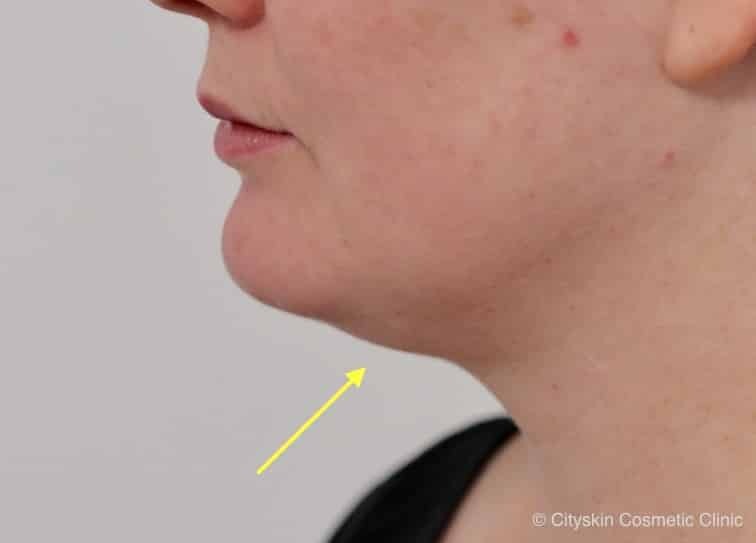 If the fullness under the chin looks like a triangle rather than a pocket/paunch it is more difficult to treat. As injectors we are not allowed to treat below the level of the thyroid cartilage as the swelling can temporarily affect swallowing. The photo below show a patient who is more difficult to treat. We are allowed to treat above the yellow line. Any fullness under the yellow line will not go away. Local anaesthetic makes the treatment much more comfortable. When we started treating patients we were using anaesthetic cream and ice before treatment. Patients were finding the treatment quite uncomfortable until we started using local anaesthetic. Before treatment we use approximately 5ml of local anaesthetic, injected under the chin area. After 5 minutes the area will be numb and the treatment is both quicker and more tolerated.